Be warned that you may experience sensory overload on this journey aboard Oceania’s Regatta through the islands of French Polynesia, where warm breezes, fragrant flowers, delicious local foods, laughing voices and pleasing panoramas abound. Papeete, on Tahiti, is the capital of French Polynesia, a group of islands in the South Pacific. Mo’orea is a South Pacific island, part of French Polynesia’s Society Islands archipelago. 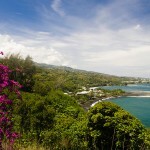 It’s known for its jagged volcanic mountains and sandy beaches. 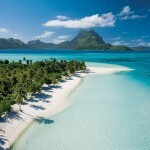 Bora Bora is a small South Pacific island northwest of Tahiti in French Polynesia. 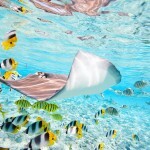 Surrounded by sand-fringed islets and a turquoise lagoon protected by a coral reef, it’s known for its scuba diving.